Compare PDF has the most powerful file comparison function. It can compare files that has a common ancestor, and it can compare non-related documents. 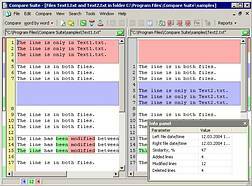 File Comparison feature of Compare PDF lets compare text files: PDF and plain text.